I am a brush cleaning fanatic, I make sure I wash all of my brushes once a week as I cannot stand thinking about the germs and makeup residue sitting in them, then using them on my face. 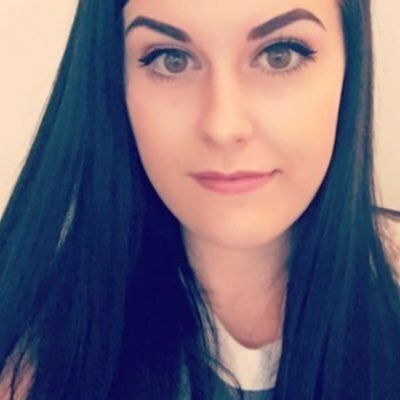 Makeup Revolution are my favourite budget makeup brand and I have been really enjoying the brush cleaning products recently. I posted a review of the Solid Brush Cleaner recently (link here) and I have been enjoying using the Anti Bacterial Brush Cleaner too. This brush cleaning spray has been specially formulated to keep all of your makeup brushes clean and most importantly, free from bacteria. This spray is going to effectively and instantly sterilise and disinfect your brushes while claiming to prolong their life. I find this brush cleaner to be the perfect brush cleaner for spot cleaning my brushes throughout the week, especially with my eye brushes which get a lot of colour on them from using different shadows. I love that Makeup Revolution have a few different brush cleaners available as I have found a lot of brush cleaners to be on the expensive side but Makeup Revolution's prices are always extremely affordable, this brush cleaning spray is just £5! To use this brush cleaner all you have to do is spritz 3/4 times directly onto your dirty makeup brush and then gently wipe your brush onto a clean tissue or cloth to remove the excess makeup, repeat if necessary. Then leave your makeup brushes to air dry and there is no need to rinse. I find it best to use this with eye brushes and smaller face brushes and use around 4 spritz's before wiping gently onto a clean towel. This worked brilliantly to clean my eye brushes and even got rid of the previous staining from a couple of intense eyeshadows. The only brushes I found that this cleaner didn't work so well with was my foundation brushes as they are very dense and get far too much makeup residue left in them so I find it better to use the solid brush cleaner with those. What I loved about this cleaner is that it didn't take my brushes ages to dry. With some of my brush cleaners I find that it will take hours for my brushes to dry but as this doesn't need to be used with water my brushes were dry within a couple of hours and I could use them again! It didn't effect the softness of my brushes at all as they are still as soft as ever but cleaner and left with a light scent. 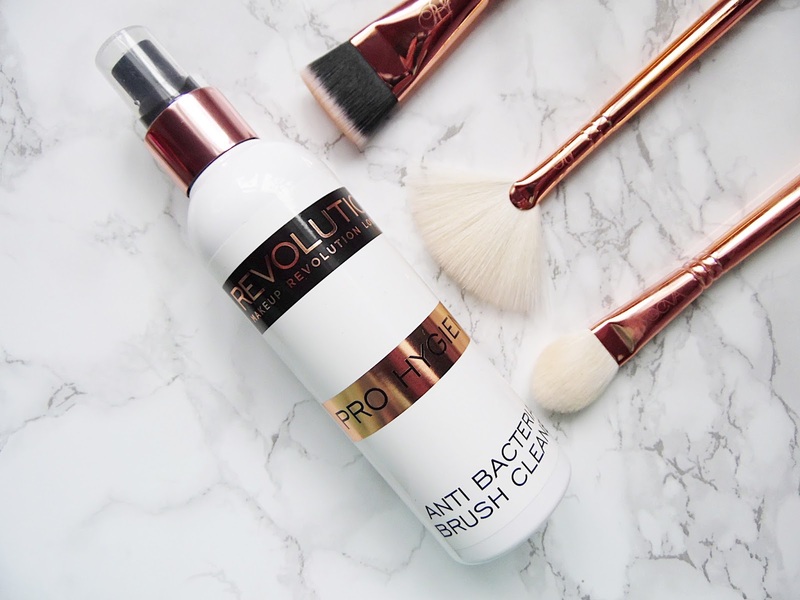 The Makeup Revolution Pro Hygiene Antibacterial Brush Cleaner retails for £5 - HERE.